All Sherwood Forest homes currently listed for sale in Sherwood Forest as of 04/19/2019 are shown below. You can change the search criteria at any time by pressing the 'Change Search' button below. If you have any questions or you would like more information about any Sherwood Forest homes for sale or other Sherwood Forest real estate, please contact us and one of our knowledgeable Sherwood Forest REALTORS® would be pleased to assist you. 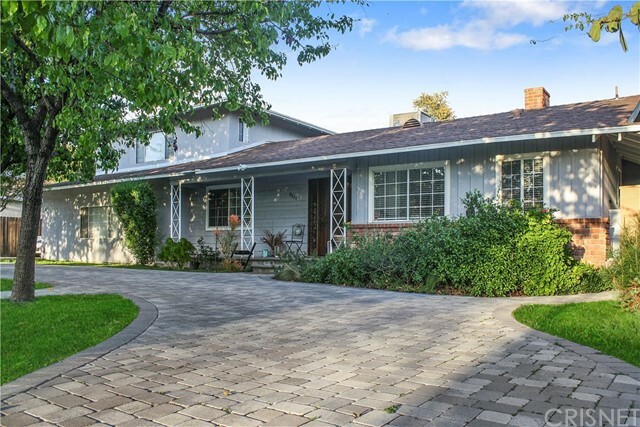 "Impeccable remodeled single-family smart home with a backyard oasis designed for entertaining in Sherwood Forest (aka the Beverly Hills of SFV). Big, Luxurious chef's kitchen with stainless steel appliances, giant island, & stunning quartz counter. 2 HUGE master bedrooms: 1 upstairs with a sauna & massive balcony, 1 downstairs. 3 more bedrooms downstairs. Granite counters in bathrooms. Circular driveway leads to the dramatic entry into the large, open living space with a formal dining room, living room, & family room! From the main living area you have direct views of the marvelous, professionally landscaped backyard with mature trees (pick sweet, juicy oranges from your own tree), grass & hardscape. Captivating salt water pool, tanning shelf & spill-over spa for 10+ with smart controls. Turn on the spa from your phone as you drive home after a hard day of work, or use the app to manage color-changing LED lights, bubblers, & deck jets that shoot colorful streams of water into the pool (& smile at the sound of oohs & ahhs of your guests!). Your outdoor retreat is made complete with an outdoor kitchen that others dream about: big grill/bbq, side burner, fridge & split-level counter. Plenty of space for sports like basketball. 2 water heaters for energy efficiency. Garage parking for 6+ cars, RV, Boat (or a plane like a previous owner!). Control the pool/spa features, A/C, heaters, alarm, in-ceiling speakers & sprinklers from your phone or Alexa / Google Home. Welcome home!!" "Prime Sherwood Forest, the Bevery Hills of the San Fernando Valley. 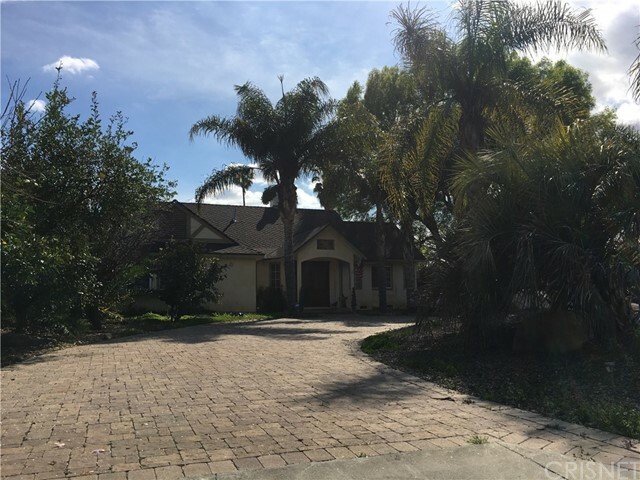 Extra wide circular driveway with pavers on Private corner lot. Many mature Palm trees grace this Enormous property. 6 bedrooms and 4 full bathrooms. Hardwood floors throughout home. Granite counters large center island in the state of the art kitchen with stainless steel appliances. Master Bedroom with a two person jacuzzi tub for your relaxation. Jacuzzi tub in the middle bathroom. Vaulted ceilings with skylights for natural light. Entertainer's back yard with a built-in BBQ paver's in the back patio surrounding large pool with a 12 person jacuzzi.Outside fireplace for cozy evenings. Large storage room that used to be garage and carport.Guest house above the garage with it's own address for rental.Two car Garage & RV parking in back.50 year roof installed in 2007. Come make this your dream home before it's too late." "One of a Kind Sherwood Forest Pool Home. Unbelievable Entertainers Back Yard. Over $200,000 Spent on This Premier Resort Style Backyard. Custom Pebble Tech Pool with Water Feature, Beautiful Putting Green, Complete Covered Outdoor Kitchen Featuring a Stainless Steel BBQ and Pizza Oven. Separate Thatch Covered Beach Inspired Lounge Sitting Area Overlooking the Professional Beach Sand Volleyball Court, Plus a Custom Built Stone Grotto Bathroom!! Too Many Features to Mention. Upgraded House Features, 3 Large Bedrooms, 2 Baths, A Cozy Den, Large Living Room and Gourmet Kitchen. Interior Features Include Private Master Suite, Recessed Lighting, Granite Counters, Laminate Flooring, Custom Fireplace, Dual Pane Windows, Custom Crown Moldings, Tankless Water Heater, Central Air and a Game Room that you must see to Believe. R.V Hookups as Well." "Attention All Sherwood Forest Northridge Buyers & Agents! Wait Till You See This One Of A Kind Showplace Pool Home! Land! Land! Land! Plan You Summer Parities Here In This Spectacular Backyard! Great Curb Appeal! Magical Neighborhood! Area Of Much More Expensive Homes! Entertainer s Dream Yard With Sparkling Pebble Tec Pool, Inviting Spa BBQ Station & Room For Everything! This Home & Land Sells Itself! Totally Perfect As Is or Build Your Dream Estate Here! Circular Driveway! Owner Paid For Solar! Absolutely Charming Home With Character & Love Throughout! Perfect Mint Move In Condition! Fall In Love Forever Here! Must See To Believe! Gleaming Hardwood Floors! Outstanding Floor Plan! Amazing Wood & Beam Ceilings! Spacious Living Room With Fireplace! Cook s Kitchen With Tons Of Storage & Sunny Breakfast Area!! Formal Dining With Its Own Fireplace Too! Marvelous Master Suite! Spectacular Vintage Bathrooms! Terrific Room Sizes! Fabulous Over Sized Garage! RV! Breathtaking Lot! 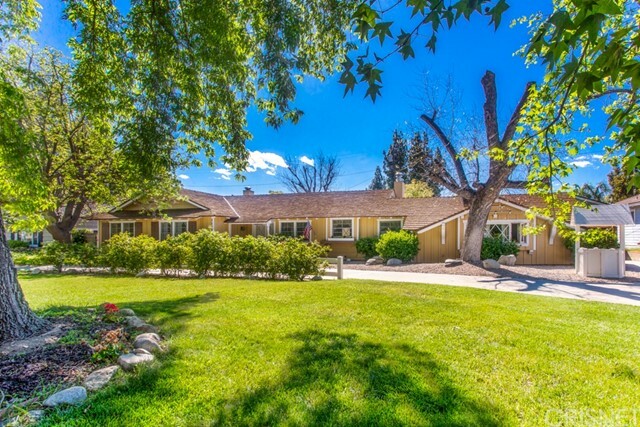 If You Are Only Seeing One Truly Special Northridge Sherwood Forest Home On An Enormous 16,785 SqFt Lot In The Price Range, Make Sure This Is It! Hurry! Hurry! Must See! Standard Sale! Do Not Miss! Sherwood Forest Northridge Living At Its Best!"